The tenderness and strength of humans and our yearning for freedom are embodied in this huge silhouette of a male and a female crossed over each other. 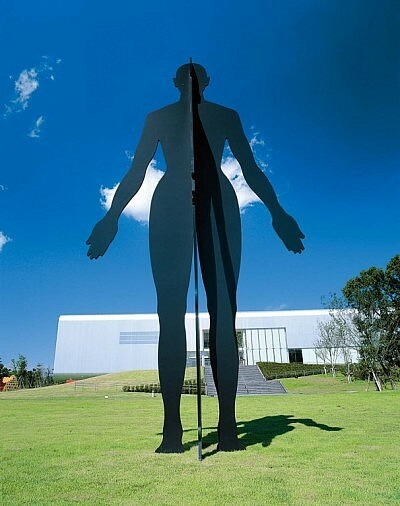 When the shadow of the male is projected onto the body of the female and vice versa，surprising male and female figures emerge. What changes will evolve in the relationship between the male and female as the direction of the suns rays changes?